Although the virtual currency market has been in a bear trend this year, other areas in the market have been expanding. 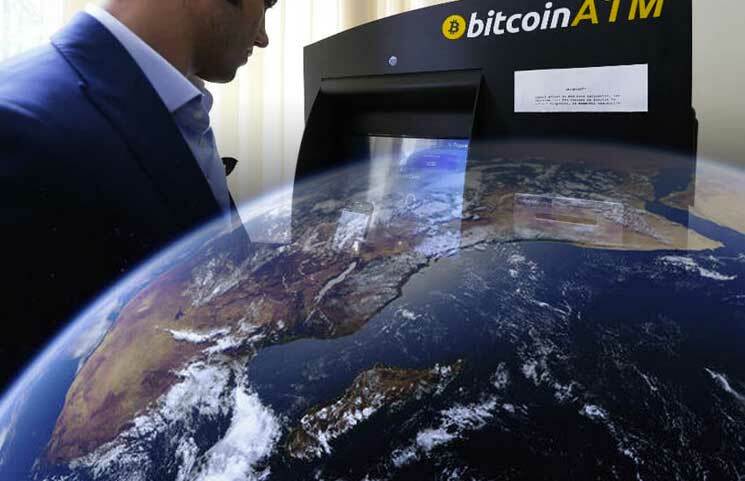 Cryptocurrency teller machines have expanded all over the world and allowed several new customers to have access to virtual currencies. Bitcoin (BTC) and other virtual currencies had a very negative year taking into account their price. Bitcoin lost more than 82% of its value and other digital assets fell more than 95%. 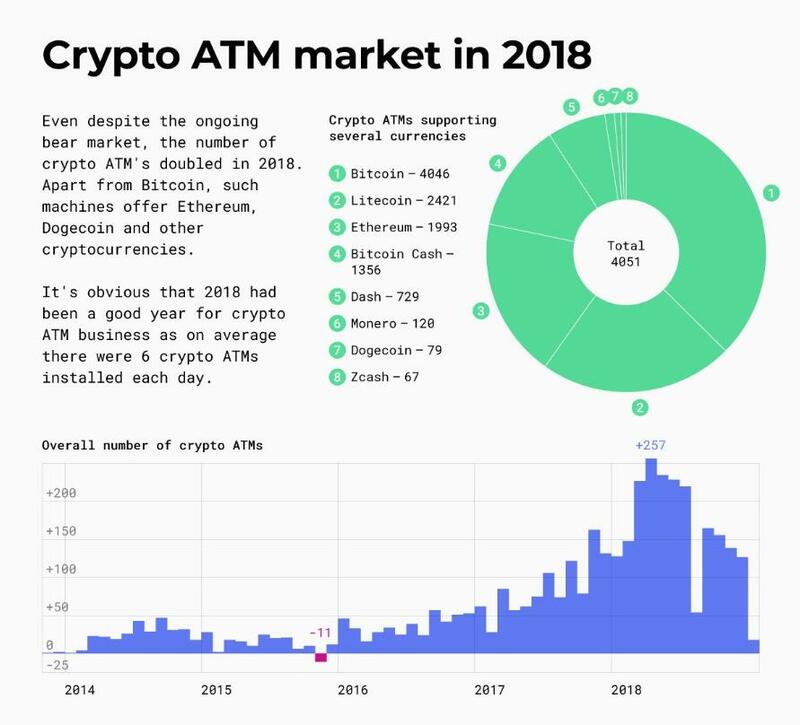 But crypto ATMs continue to expand and in 2018 more than doubled in number. The majority of the new ATMs have been installed during the first part of the year. This is clearly correlated to the interest in virtual currencies and their price. Back in December 2017, Bitcoin reached an all-time high of $20,000 and since then it dropped down to $3,250. According to Coin ATM Radar, there are currently 4085 ATMs installed. 71.8% of them are located in North America, including Mexico and Panama, with 9 and 10 ATMs respectively. The next region is Europe, with 23% of the ATMs installed. Austria is a clear leader in Europe with 6.4% of the ATMs worldwide. Asia has 106 ATMs, representing 2.6% of the total, Oceania has 54 (1.3%), South America 45 (1.1%) and Africa 7 (0.2%). 55.9% of the ATMs are located in the United States. The information provided by Data Light shows that there was just one month, November 2015, in which the number of ATMs around the world got reduced. In April of the current year, 257 ATMs were installed. It is important to mention that of the total number of ATMs installed, the majority support Bitcoin, followed by Litecoin (LTC), Ethereum (ETH) and Bitcoin Cash (BCH), among others. Wow. Doubling in number is significant progress. It's going to evolve further in 2019. 4085 ATMs. That's a pretty huge amount of it. The number is going to increase by the end of the year. Interesting. It's going to be a common as the usual ATMs soon. @harrypotter Wonder by how much. Got to be pretty big difference. @hola55 Looking forward to see the improvements. @harrypotter it should be something. @hola55 I should think so. @harrypotter It's pretty amazing how it got to this stage already. @hola55 Absolutely. It shows how much growth it is able to achieve. @harrypotter And it's going to grow even more in time to come. @hola55 Maybe double the number now? @harrypotter Maybe. Or maybe even triple. @hola55 For current users, it might not be too bad. But for newbies, it might be a bit tough.